Leeds is a great city, good for shopping and as we found out, wonderful for eating and drinking. As ever I endeavored to find great gluten free places to eat as that’s a priority for me with being a coeliac! 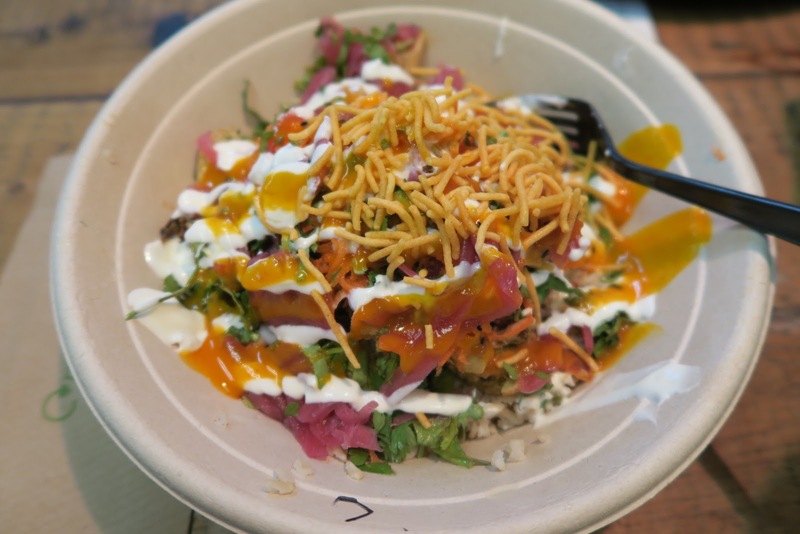 Our first stop was Leeds Trinity – their city centre shopping centre which is bloody brilliant but arguably the eating court is the highlight! Much more of an upgrade to ‘The Oasis’ we have in Meadowhall (Sheffield). I was very dissappointed to discover my favourite place which I can’t remember the name of had gone though – sad face! It was a fantastic Indian Street Food cart where you could get a main, a drink & two very generously sized onion bahji’s for a tenner. Anyway moving on, there wasn’t much point in me telling you about those experiences because it doesn’t exist there anymore. I came across ‘Rola Wala’ in the Trinity Kitchen. I was very impressed as nearly everything was labelled gluten free and all of the main fillings / toppings aka – the meat was gluten free too. So I went for a rice bowl, at first I thought it looked a little on the small side, probably because the bowls are very deep, so the rice seemed to just form a small heap at the bottom but by the time they’d covered it in their salad offerings and the chicken tikka which I chose as the main topping it was quite a good portion size and for under a fiver you can’t complain! They offer student discount so my rice bowl was around £4.80. I absolutely loved the pickled ginger and the sesame (I think) or chickpea flour crunchy toppings they put on top of my bowl. I really would recommend trying Rola Wala. I heard multiple people approaching Trinity Kitchen saying ‘I always choose this place’ or ‘I think about eating elsewhere but I always end up back here’. So obviously they’re doing something right! Our next stop, maybe we were being a little bit naughty as it was only 2pm, was The Alchemist. I’d been to Leeds before with a friend (also on a saturday) and the place was rammed so we didn’t stay for a drink – we went and found somewhere else instead. Thankfully though, maybe because it was still quite early in the day, it was less busy this time and we managed to find a couple of high stools to perch on! Shout out to Courtney (if I remember rightly) who was a gem fetching us drinks – we didn’t have to queue at the bar at all which was brill! So anyway, my cocktail (see above), the first of two, was the ‘Caramelised Rum Punch’, it was very tasty although not as unusual as I’d have liked, I think I need to be a bit more adventurous with my drink choices. As you can see they put a massive cinnamon stick in the drink so it was very nicely infused with that flavour. I’m not much of a fan of long drinks though, mainly because there’s too much ice to get through, would much rather have a martini style drink where you can actually taste the alcohol. 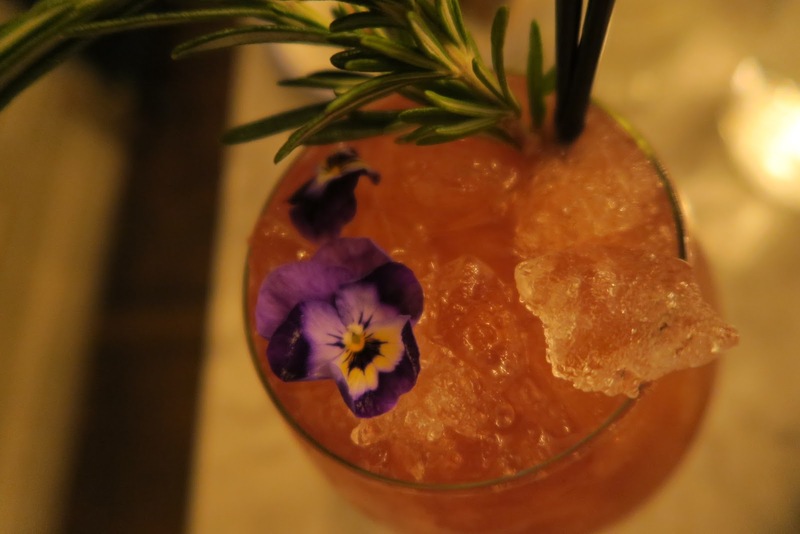 CARAMELISED RUM PUNCH £8.50 – APPLETON SIGNATURE RUM, GRAND MARNIER, WATERMELON, LIME, PINEAPPLE, FIRE. Now this one I just loved! 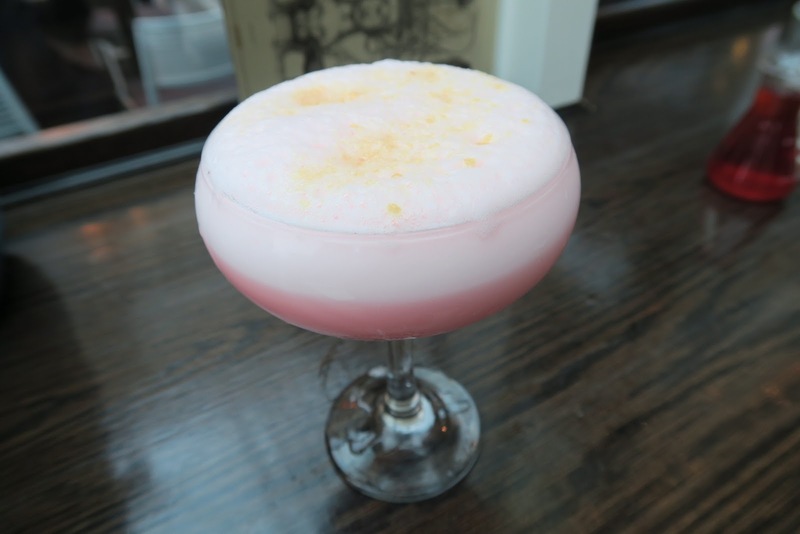 It’s probably the cutest girlie drink I’ve ever consumed! It was VERY sweet but delicious. And wait for it.. it had popping candy on the top, I know I’m still such a child! I wish we could have stayed here all day and supped cocktails but there was lots of Leeds to explore and lets face it, my bank balance wouldn’t have been that happy haha! As for the setting of The Alchemist you couldn’t fault it anyway, their feature door is amazing. They have very comfortable sofas and seating and a lovely outside terrace perfect for when the sunshine’s shining! Now onto our evening meal. We were very excited to discover Leeds had their own ‘The Lost and Found’. 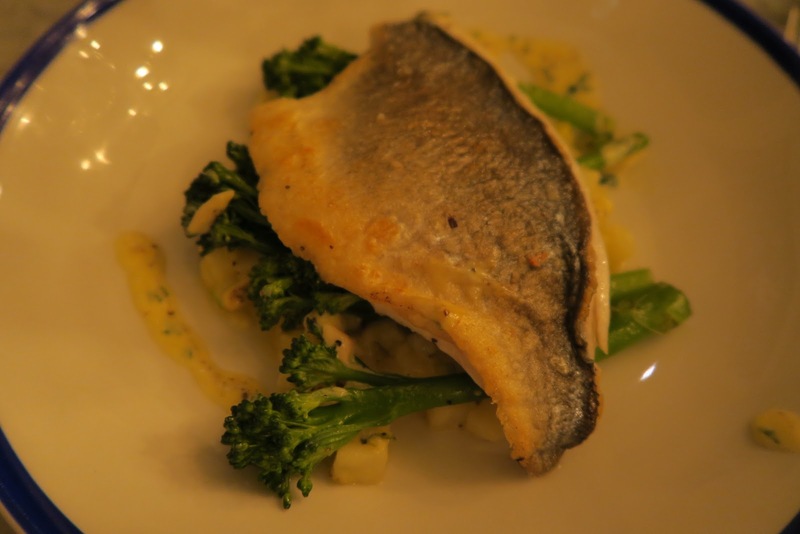 We visited this place in Birmingham and were very impressed with the food! Here I am supping a Long ‘Lost’ Island Ice Tea, nice play on guys! 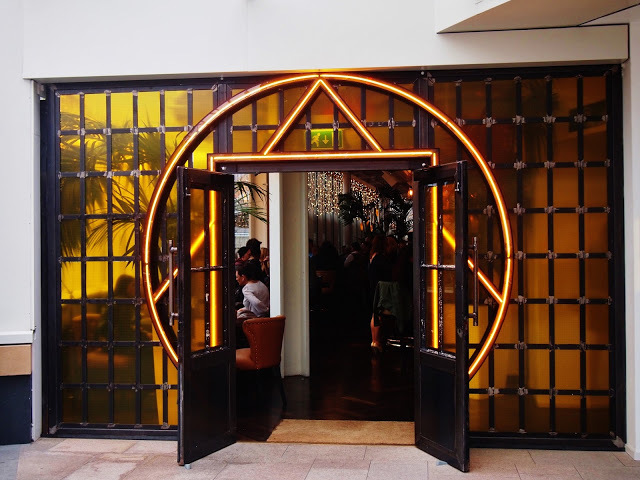 Overall the setting was really lovely but I think I did slightly prefer the vibe at their Birmingham restaurant which has a Sheffield – The Botanist vibe. The Lost and Found have quite an extensive Cocktail menu. One one of the pages there’s a map of the drinks demonstrating which of them are the most sweet, strong, easy drinking etc. which is really useful! Of course my Long Island Ice Tea was on the strong end of the scale as it contained a mix of 5 alcoholic spirits! Food wise I really can’t fault this place. The fish dishes we both had were divine. We decided to share them so they made sure they were both gluten free and they even provided gluten free bread. I had a ginger and squash soup to start which was so smooth and creamy – I really would recommend! 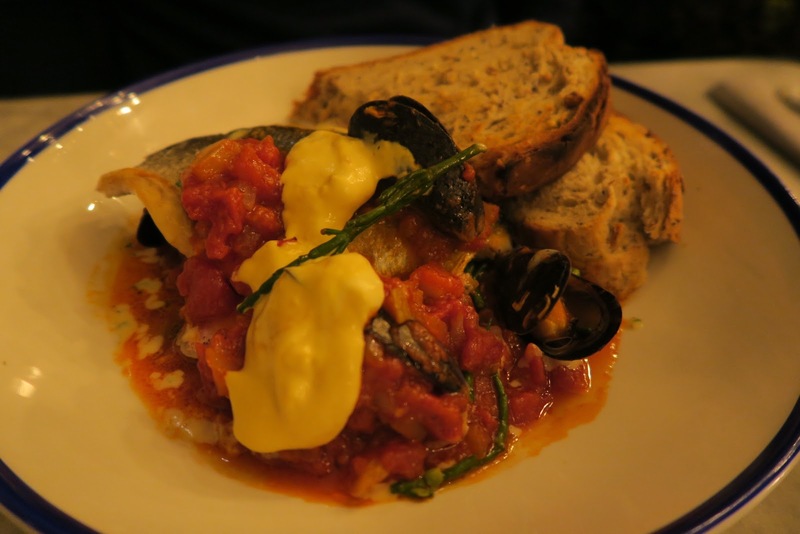 Below is a photograph of Eddie’s – Red mullet & mussel fish stew, tomato sauce, toasted sourdough, garlic mayonnaise which I had the delight of tasting – It was sooo good! Let me know if you’ve been to any of the lovely places I featured or where I should check out if I day trip to Leeds again! this looks like a fun trip! those cocktails looking amazingggg!! This post is great, I absolutely love Leeds and it’s great hearing other peoples recommendations! 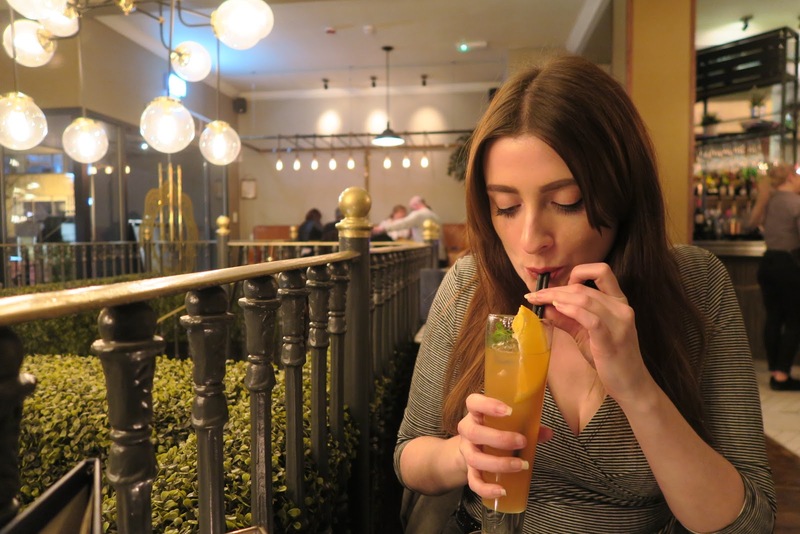 I visited The Alchemist on Greek Street when I was there and that’s equally as lovely and the cocktails are fab! 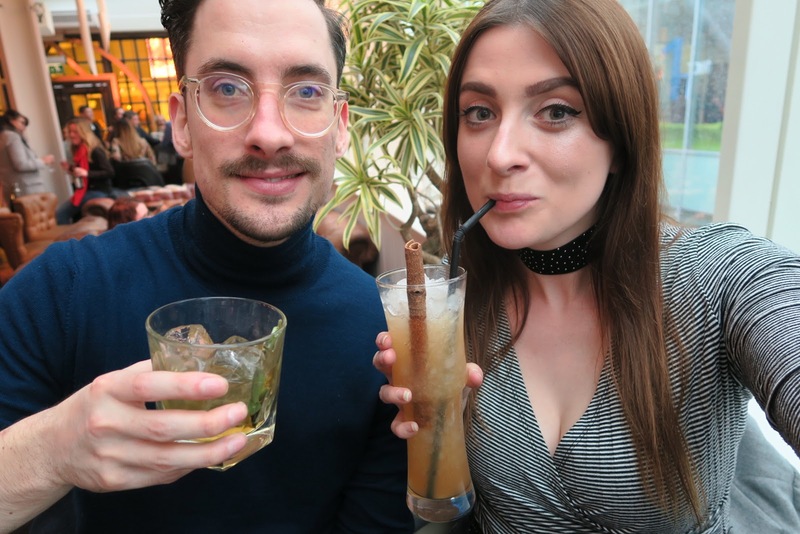 If you’re ever in the city again, The Liquorist serve delicious cocktails and Belgrave Music Hall has a fab roof terrace which is great in summer!